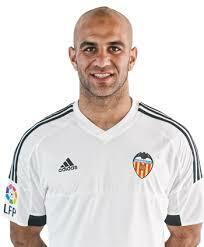 Valencia CF: Remember Me ???? Cost 22,000,000 Euros August 2015 from AS Monaco. Where is he now ? On loan at Olympic Marseille until 2019 but with an option to cancel in June 20018. Is he playing well ? The answer to that is NO. He had a decent game in the middle of January 2018 against Strasbourg but was only playing regularly up to middle of December 2017. It seems as though they will cancel his loan in June 2018 but he is still contracted here until June 2020. So what now ? So, we hope that maybe Marseille pick up some injuries and he can get back in the team. Maybe that could give him a chance of appearing in the World Cup for Tunisia which might boost his value, or of course he might play badly and nobody will want him. Summary. Looks like we will take a big hit on him whatever happens therefore we can just pray that there is somebody out there with loads of money who will take a chance on him, maybe China ?? Information from the club today suggests that the deal with Abdennour is that only if both parties agree he can be returned to Valencia this June. He has stated he wants to continue with Marseille to prove himself. 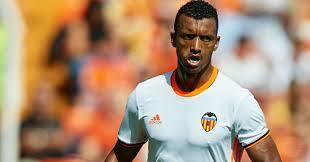 So that means that if Valencia don't want to take him back he is obligated to remain in France for another season. That of course poses the dilema that he will then only have one year left on his contract. The gamble then is, do we take him back and hope to sell him this summer or do we force his stay in France and risk getting less or nothing back on a transfer in June 2019 which could also sour our relationship with Marseille. Cost 8.5 million euros from Fenerbache July 2016. Where is he now ? On loan at Lazio until June 2018. Contract at Valencia to June 2019. Is he playing well ? No not really. Not playing regularly and doesn't seem to be impressing much. Getting used for the final minutes perhaps to waste a bit of time when they are winning a bit like Alcacer at Barca. So what now ? He had refused an offer of going to China but maybe he will change his mind now as he will know, like Abdennour, that he has no future here. Hopefully gets picked for Portugal and can impress in World Cup but that looks unlikely with young players coming through and impressing. Summary. Another waste of money but who knows, maybe we can offload him for a small sum and save on his wages. Would be very surprised to see him in our shirt again. Cost 15,000,000 from Benfica July 2015. Where is he now ? Inter Milan on loan with buyout clause of 35,000.000. Is he playing well ? You bet ! A real success story and it looks as as if Inter will pay the buy out option. He is not only playing regularly but very popular with the fans and management after a slightly troubled start. With Kondogbia and Murillo coming the other way a deal will hopefully be worked out to make everybody happy, including the FFP. Summary. At least a bit of good news. I don't think we should criticise too much the bad signings as all clubs take a gamble when signing players and they don't always work out. I am sure if I have got any facts wrong somebody will put me right. So what do we think ? Is there a place for Nani in the team. Abdennour ? can we use him anymore ?